This article is a quick precursor for our upcoming review of the ASUS Crosshair IV Formula, which houses AMD’s newest chipset, consisting of the 890FX northbridge and SB850 southbridge. 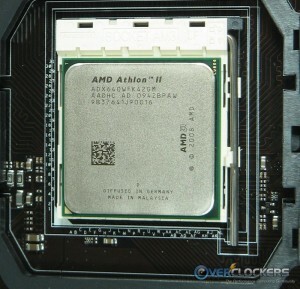 The CPU used in that review will be AMD’s recently released Athlon II 640, so we’ll have a look at that too. 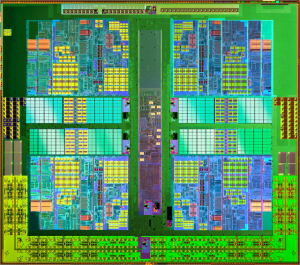 First, let’s have a look at what AMD’s newest chipset has to offer. Rather than jumping right into the details, let’s look at the handy-dandy architecture diagram and then some specification charts for the 8-series chipsets. 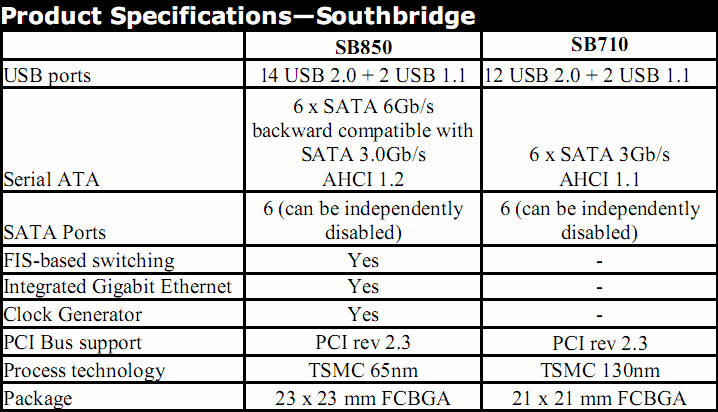 The only thing missing from the 890FX/SB850 chipset is the kitchen sink (and native USB 3.0, which can be added with a 3rd-party chip). Via the HyperTransport 3.0 link operating at 5.2GT/s, the 890FX northbridge supplies two full 16-lane graphics slots (or four 8x) for Crossfire GPU power (sorry, no SLI folks) as well as an extra 6 x1 and 1 x4 PCIe lanes for other peripherals. 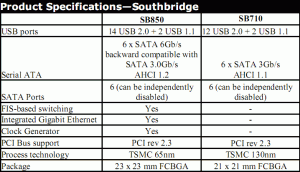 The SB850 southbridge has native support for six SATA 6GB/s ports (if you didn’t know, that’s huge! 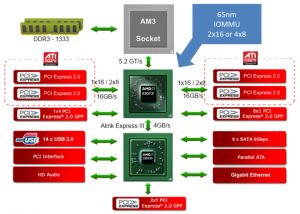 ), two extra PCIe x1 lanes and also handles HD Audio, Gigabit Ethernet, P-ATA and the PCI interface. Last, but certainly not least, AMD gives convenient software control of their chipset via their Overdrive utility. Of course “AMD product warranty does not cover damage caused by overclocking, even when enabled using AMD OverDrive™ software.” So there, you’ve been warned. 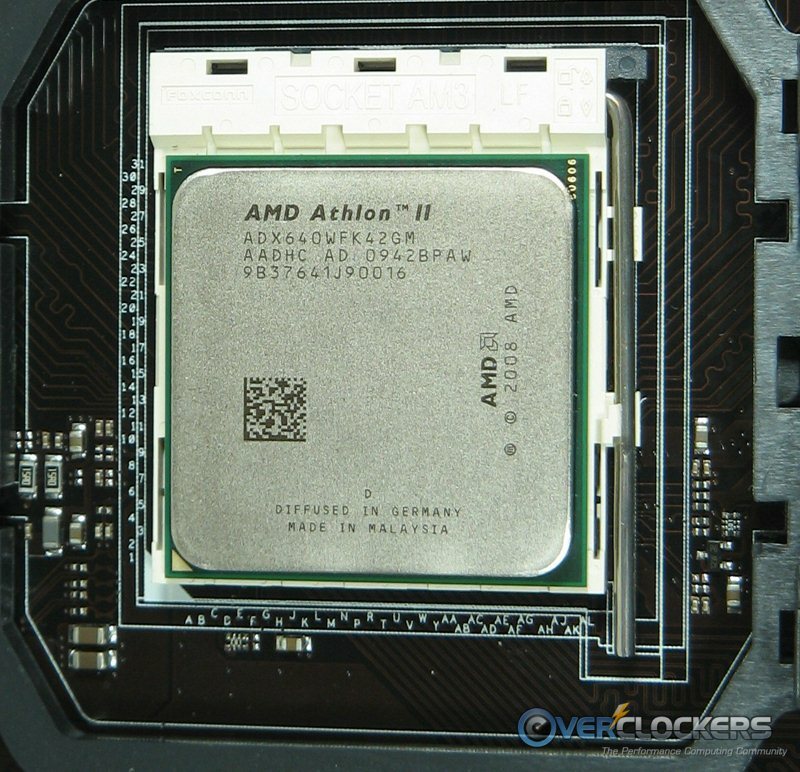 In May, AMD not only released their top of the line powerhouses, the Phenom II x6’s (Thubans), they also released a sextet line of budget processors in the form of two each of Athlon II x2’s, x3’s and x4’s (code-name Propus). These are super-duper budget CPUs, which is an AMD specialty. They have always prided themselves as striving to be the price-to-performance kings. They not only improved the Athlon II line, they have given consumers an extra 100MHz for free! The new CPUs are priced very, very low for their technology. 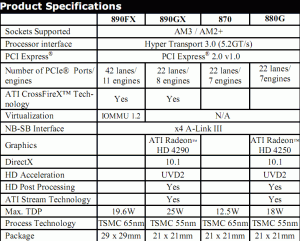 Here is the list of Athlon II’s released May 11th. Go ahead, do a double-take; I certainly did. You really do see a quad-core CPU clocked at 3.0GHz with an MSRP of $122. Newegg lists them for $123.99, but that’s with free shipping. Give a little, take a little. By comparison, Intel’s least expensive quad-core, the Q8300, is clocked at 2.5GHz and sells for $148.99. Jumping up to the least expensive iX quad, the i5 750 will set you back $199.99. 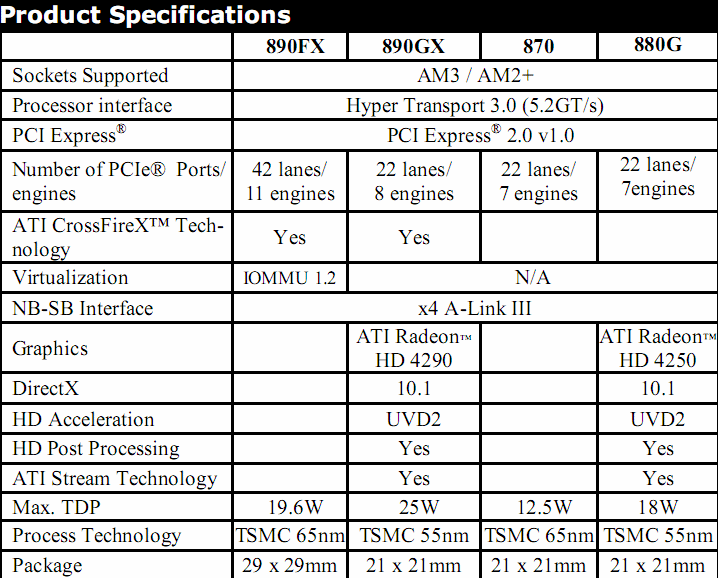 One thing you’ll notice in these specifications is their lack of L3 cache that the Athlon II’s big brothers, the Phenom II’s have. A good thing to note is in the features list from earlier – all of these new Athlon II’s are revision C3 silicon, meaning they support hardware initiated C1E, northbridge p-states (another power-saving feature) and low-voltage (1.35V) DDR3 support up to 1067MT/s. That’s it for this one folks…just wanted to wet your whistle in anticipation of the review that will be coming out soon. Hope you’ll join us for that one! Pushing like heck to get it out tomorrow, but Monday is looking more and more likely. We'll see!